Ever plan to do it all and end up accomplishing exactly nothing? 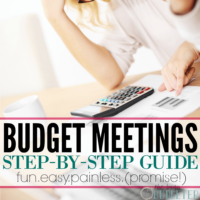 You want to build your budget, but it's just too easy to get overwhelmed. It happens to all of us, whether it comes to cleaning the house, cooking dinner, and especially budgeting and finances. 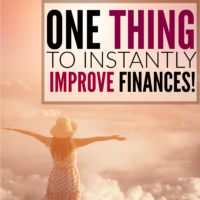 In an attempt to get finances under control you pull out your budget, drag out those stacks of bills, open spreadsheets…and feel completely overwhelmed when you look at the balances. 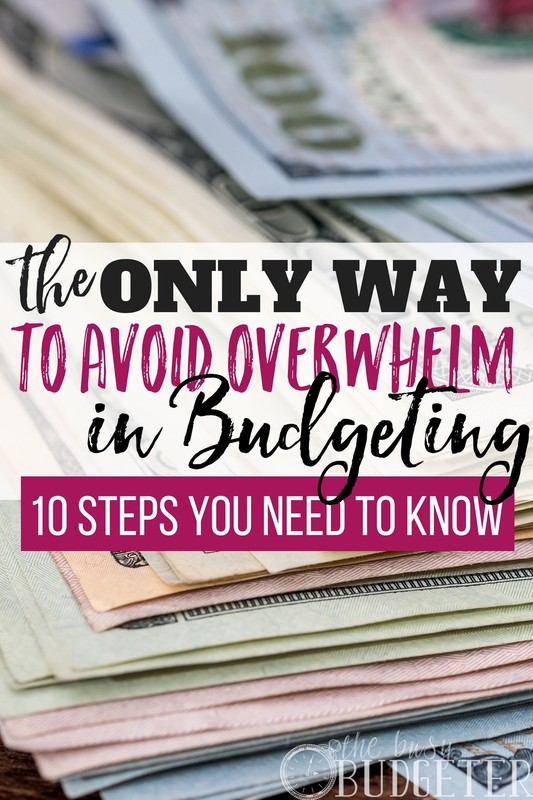 There is a way to fight the overwhelm of budgeting and get your finances under control—I’m going to tell you how! If you want to avoid feeling like throwing in the towel, giving up and crying “uncle” when it comes to building your budget, you’ve got to take it sloooow. Baby steps, you guys. Believe me when I say, it’s not going to happen overnight. It might not even happen in the next six months, the next year, or (sorry) the next five years. Getting a handle on your finances is a step-by-step process. It’s a life change. It’s not a button you flip and BOOM: Financial Success Achieved! You’ve got to be methodical, even a little bit of a geek (budget nerd alert, here!) to get your finances to where you want them to be. It means taking baby steps. It means breaking the process down into manageable goals and tasks. Ready to get started? Here’s what I want you gotta do to build your budget and break the overwhelm! Before you even START worrying about how to build your budget, the first step you need to take is simply scheduling a time to deal with your finances. I want you to treat this like any other appointment—you wouldn’t procrastinate a doctor’s appointment, a dentist appointment or a meeting with your insurance agent, right? If you really want to get a handle on your finances and start seeing real, tangible progress on your debts, you need to block out the time for the project. This needs to be top priority! Schedule a babysitter, clear a spot in your house, and sit down with your spouse. Give yourself at least a couple of hours to go through EVERYTHING! Make this your #1 priority! Before your appointment, which you’ve now blocked out on your calendar, I want you to gather ALL your bills. Find the pink ones, the yellow ones, the statements you haven’t opened because you didn’t want to face them. Assemble the login information for your student loans, your mortgage, your bank account and any other online bill paying services you use. Maybe it sounds obvious, but do you know exactly how much you bring home each paycheck? Assemble your most recent check stubs if you aren’t sure. Find every single bill you need to pay and each monthly statement you receive. I promise, this is the most overwhelming part. It’s all coasting downhill from here! Now we’re ready to begin to get your budget and finances in order! The first step you’re going to take is to figure out your income. If you only earn money from your regular paycheck, this is pretty straightforward. But, if you earn from other sources (say, a side hustle, online, or from selling items on consignment) you’ll need a strong idea of what you earn there as well. If you earn tips, bonuses or other extra income at your job, only figure in the minimal amount you expect each month. Yes, some months you might get an extra hefty tipper in your section or you might receive a holiday bonus, but go with your typical monthly earnings. Write down your money in. Now, write down all your fixed expenses going out. Fixed expenses are the items in your budget remaining pretty much the same from month-to-month. These are usually rent, utilities (if you use a budget billing plan to help keep the amount fixed), phone, cable/internet and insurance. You might also have additional expenses such as a retirement contribution, a car payment, student loans, credit cards and medical bills. While these items may vary, the minimum payments often stay fairly consistent each month. Write down your regular, minimum monthly payment, as well as the total payoff amount for each of your expenses. Pat yourself on the back, because you created the basic framework to build your budget! Now, it’s time for the variable expenses. These are items like food, entertainment, gifts, shopping—basically any item that’s inconsistent from month-to-month. Go through your bank account and take a look at all of the items you spent on in the last month (assuming it was a typical month, if not, you may want to look back over two or three months to get an accurate picture). Some banks feature the ability to sort spending by category; for example, groceries or dining out. This makes figuring out categories super easy, but if your bank doesn’t offer this feature, create your own categories and write the amount spent in each section. You want to get an overall portrait of how much you spend each month. Between your fixed and variable expenses, you should write down every place you spend money. Now it’s time to cut! Let’s look at areas of your budget where there's some wiggle room. First, examine your fixed expenses. They may seem solid, but I want you to really examine the statements. Are you being overcharged for services? Could you switch to a lower-use plan? This may mean you need to place calls to your billing agencies and ask about better rates (speak with the customer retention department). Also inquire about waiving any one-time late-fees or other charges. Then, look at your variable expenses. Are you surprised by any of the areas? When we first put together our budget, I remember noticing how we spent a much larger portion on eating out than I expected! Sometimes when you see it in black and white it becomes clearer. Set a budget for each area. This may mean drastic cuts, or you may want to work gradually: cut your grocery budget by 10-20% the first month and see if that’s livable. If it works, cut a little more the next month. Many people find when they first start budgeting, it’s easier to work with cash. Parting with cold hard cash is much tougher than using your debit card. When the cash is gone, it’s gone. That’s all you can spend for the month. If you’re up for the challenge and ready to get serious, either use cash for all your expenses, or only your variable expenses. If you’ve set up automatic bill-pay on your fixed expenses (which saves you money and fees), let them debit your account as usual. Use cash for the expenses you pay in-person, like groceries, trips to the salon, going out with friends, and so on. Separate the cash into envelopes or mark it with paperclips and notes. Once cash is gone from the envelope, you’re finished spending in that particular area for the month. The next step is to commit, right now to stop taking on additional debt until your current debt is paid off. This means no more using the credit card, no more lines of credit or shopping with your retail cards. 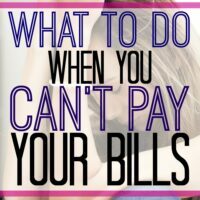 It’s tough, but if you really want to get out of debt and stop your budgeting overwhelm, you’ve got to stop debt from piling up! Reverse the trend! Financial expert Dave Ramsey suggests paying down debt using what he calls the “snowball method”. Pay your minimum payments on all debts and put any “extra” money toward your smallest debt until it’s paid off (which usually happens pretty fast). Then take the amount you were paying on the smallest debt and roll it onto the next smallest debt. As your debt gets smaller your payments get bigger. You see progress quickly! Now, I know you’re probably feeling a little excited—there’s a light at the end of the tunnel, right? But what will happen if the transmission starts leaking on the car, your husband falls off a ladder and sprains his ankle, or your cat swallows a spool of ribbon? You’re going to get out your credit card, apply for a line of credit or take out a payday loan, right? WRONG. This is why it’s so critical you build an emergency fund. If you’re serious about getting your finances under control, you must set money aside for emergencies. A good rule of thumb is $1,000, which is enough for most minor catastrophes, but doesn’t take a lifetime to save. Before you start paying down your debt, put away $1,000. Touch it ONLY FOR EMERGENCIES (a bridesmaid’s dress, a new couch or concert tickets aren’t emergencies). If you want to avoid feeling overwhelmed when you build your budget, take baby steps. Work through a little of your budget each day until living with a budget starts to become an automatic habit. I’ve created a 90 Day Budget Boot Camp as an easy-to-use guide to take you from beginner to budget-pro! You’ll become a total budget nerd within three-months. If budgeting feels overwhelming, tough and confusing, let’s make it simple. 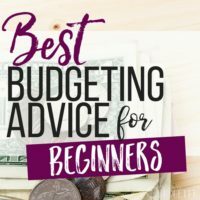 This camp is totally easy to follow, and gives you step-by-step instructions you need to take every ounce of stress out of the budgeting picture. I promise, budgeting doesn’t need to be stressful or insurmountable. It’s simply a matter of breaking down the budgeting process into small action items, and easy-to-follow steps. You can do this! Think of your dreams and goals for your family—whether it’s spending less time working and more time together, buying a house, having kids or going on great vacations, you can have it all! First, though, you need to get your budget under control. Keep your eye on the prize and focus on what your budget will do for you and your family. Today’s the day! Let’s take the overwhelm out of your budget! Have you found a successful way to build your budget? How will a budget alleviate your stress? 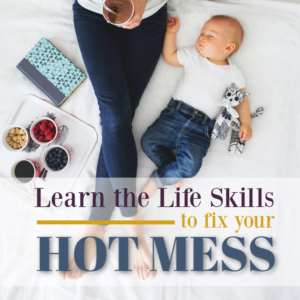 How will it help you feel more in control and less like a financial hot mess? Fantastic one there. I started reading and scanning your list down to 8 but couldn’t find it.I asked myself what the hell am I reading until I got to number 9. Yes! There’s no underestimating the fact that planning for emergencies needs to be part of our budgets at least my high school economics thought me lol. I’m seriously thinking about going cash only in 2018. My finances are the last thing to conquer and I still haven’t managed to live totally within my means. I’m repeating the mantras I heard on Dave Ramsey – don’t buy what you don’t have money for and spend less than what you make. Katie@MySweetHomeLife recently posted…How to review your year. When we became serious about budgeting, it was clear we had to tackle groceries/food… it was a crazy amount for a family of three! We started with spreadsheets but it was much easier with the Every Dollar app. Thanks for the tips! Always start the year off with such good intentions moneywise. Hopefully we can put some of these into action this year… like not spending $$ we don’t have! A great list!! We pretty much follow this same process, though we’ve been doing it every month (sometimes twice a month) for almost 2 years now, our budget is pretty set and we don’t vary too much from that. What really works for us is allocating all of our money appropriately in the first week of the month. So, we pay off all bills, any credit card balance, and putting our saving away on the 2nd of every month after we get paid. This helps us from overspending because we know exactly how much is in our spending account for that month. Great way to break it down into steps! I find the cash envelope system has worked for me. Thanks!! Thank you for sharing this article. very nice and informative and please keep posting the amazing article like this.